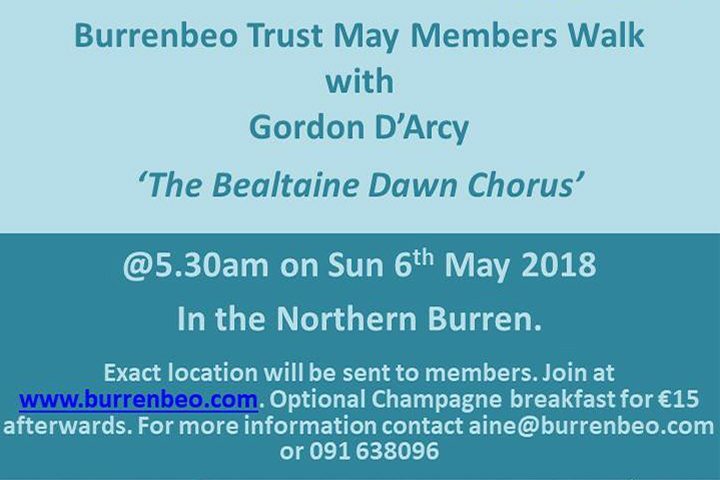 The first walk of the 2018 Burren in Bloom festival, and the May Burrenbeo Members walk, involves an early start, with Gordon D’Arcy leading a group on a dawn chorus walk. 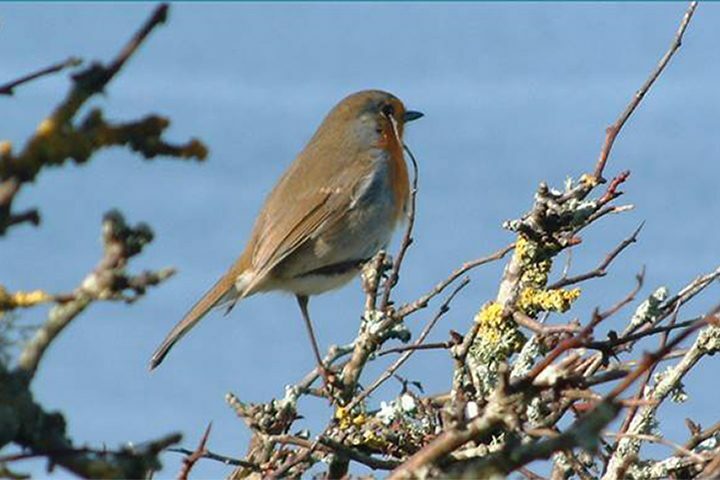 Gordon is a Burren resident, natural historian, author & wildlife artist and will point out some of the Burren’s birds in the early morning light – they’ll hopefully put on a good show. On return from the walk, a champagne breakfast will be on offer to walkers for €15 – like the early bird you can catch the tasty worm! The walk is open to Burrenbeo Trust Members only. Meet at 5.30am (!) – the location will be sent to members. Please bring good walking shoes and waterproofs if needed. Also bring binoculars if you have a pair. No dogs allowed. 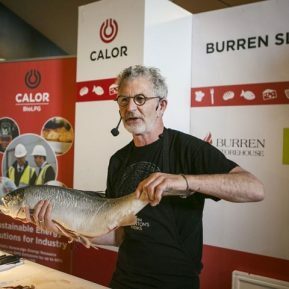 For more information please email aine@burrenbeo.com or phone 091 638096.